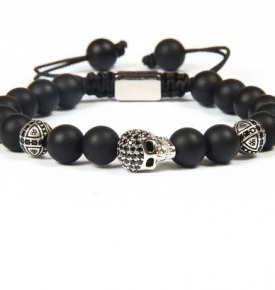 Mantra bracelets are powerful and beautiful prayer beads that are used for reciting mantras and we are here to tell you some interesting information about Mantra Beads! 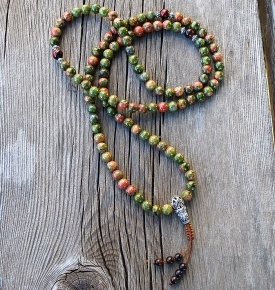 There is a mantra bracelet also known as a wrist mala. Our beads aren’t just valued for their innate beauty, they have a practical use to calm the mind through mantra repetition. These necklace malas are finished with a special end bead, which is known as the guru bead offset into quadrants with spacer beads, and a tassel or beaded ends. 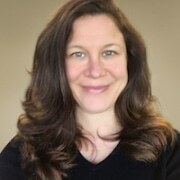 Often, the mala is completed with a tassel and may have counters. Some think that the guru bead has a beginning point and when finishes the recitation of the mantra, one skips over the guru bead, as a gesture of respect for one’s guru or our enlightened nature. Mantra bracelets can be worn daily to remind us to stay calm, set an intention or for mantras on the go. They’re used daily by most Tibetan Buddhists and Hindus, even Islamic people use prayer beads, and they can be stored privately or worn. 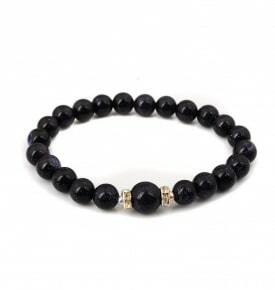 Mantra bracelets are made of precious stones, but they might be made from bone, seeds or wood. Occasionally, they could have some valuable stones such as coral or turquoise, at intervals. Counters and markers make it easy for us to count their mantras, and to know how many we’ve completed like a abacus. 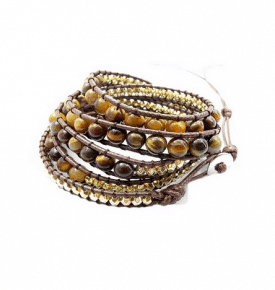 Mantra Bracelets usage – There’s no doubt that mantra bracelets are instruments that are sacred, and Mala is a Sanskrit word which means garland that is divine. These beads have been around for centuries and are used by Buddhists for crystal healing and reflection, prayer, meditation cleansing. Dating back to eighth century BCE, Hindus and Buddhists have worn them, diligently. More individuals around the globe are practicing meditation now, the more they’re being used, even in Hollywood! Mantra bracelets assist you to invite mindfulness. 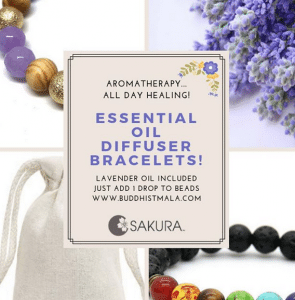 Whether you are doing meditation or only wish to keep minutes of quiet and peace, these bracelets can be your companion. Wearing your mala bracelet ushers in a sense of being happy with life, finding your center and reminding you from life’s truths. 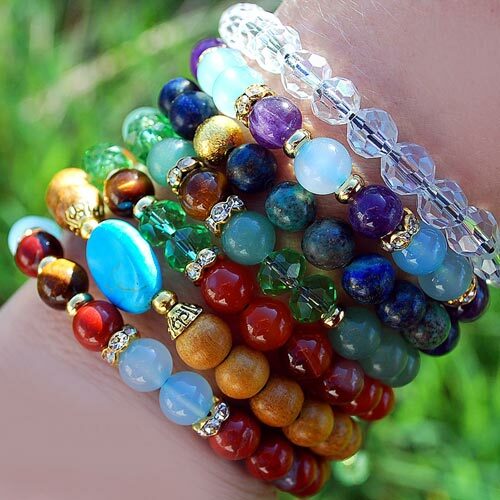 Additionally you won’t feel alone in your spiritual journey, as the bracelet would be with you in amazing and tough moments, and connects you to “sangha” or other spiritual friends. It Helps with Meditation – A mala bracelet is useful in meditation because it provides you a set number of times to repeat a mantra. Doing so will assist you to concentrate on the words of your own mantra instead from counting the number from times you are saying it. Just remember, the guru bead is bigger than the other beads, so you will know where to start and end your practice. The repeated recitation of the own mantra while proceeding bead by bead throughout the bracelet or necklace serves for focus and calm the mind. Mantra Bracelets are touchstones – You should use your own mantra bracelet as a grounding force, you could say these become a best friend. As you hold them, pause because of a minute and reboot yourself by utilizing a mantra. Slowly inhale and believe your affirmation, mantra or intention, and after that exhale and imagine all that is needed comes to you and that grace and healing that surrounds you. Enjoy our heartfelt designs and thanks for your years of support! Choose your Mala Necklace here.